Since the inception of artificial grass, it has become popular within no time. Pet owners, in particular, have benefited a lot from its production. This artificial turf gives them the satisfaction that their dog is safe on the surface. Many business owners have come forward to prepare it. Among these ventures, K9 Turf has surfaced with one aim: to offer their clients high-value fake grass for dogs. Those people who have real grass know that it is hard to keep the grass greener. They follow different measures in order to protect the plants from the chance of getting any kind of disease. Therefore, they buy certain kinds of fertilizers and pesticides that can do more damage than good. However, with artificial turf, you do not have to buy this kind of stuff. When switching from real grass, many people want to make a choice that offers long-term advantages. Therefore, they choose artificial turf, because it remains original regardless of heavy rains, extreme heat and even in presence of pets. We use our ProFlow Polyurethane Backing system to deal with all issues related to the ProFlow backing. It has a matchless absorption rate, which is why it is recommended to be used if you have pets around. Here an important thing to note is that you should not go for the one made of latex. The reason is that it is extremely dangerous for your pets. The biggest deal breaker is its inability to tackle the dog waste, which remains on the surface. The most dangerous thing is that it becomes toxic and causes problems later on. We use two main components to keep the environment clean. First is the k9 zeolite turf infill, which is used to hold the ammonia gasses that are produced from dog waste. The enzyme cleaner, on the other hand, is used to kill the bacteria. Let K9 Turf Help You! We have been in the business for over three decades. 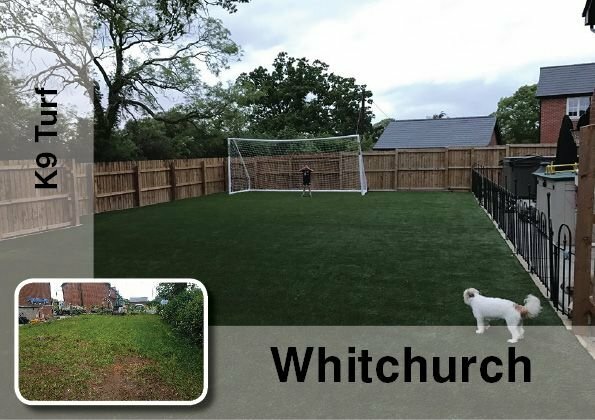 During this time, we have been able to provide quality fake grass for dogs to a number of pet owners. Many people have welcomed this idea because it has allowed keeping their pets safe from getting even minor infections.